I thought that the end of my 30's was a good time to take stock of where I am and where I've been, and to make some notes to help me remember this time in my life. I really wish I would have started this sooner! I would love to have a letter to read today that I wrote as I was about to turn 30! I'm not going to lie, it was difficult writing this letter to myself, and I ended up in tears multiple times as I was writing it. It is hard to think about how different things will be 10 years into the future. It's easy to ignore the fact that you and everyone you care about about are getting older day by day, but it is impossible to ignore once you really focus on what your life might be like 10 years down the road. Yet, it also reminds me to stop, take note, and be thankful for all of the blessings I have in my life right now. It also makes me focus in on what is important in my life, and what isn't, and serves as a reminder to be sure to make time for the things that matter to me. I wanted to do this today, on the last day of my 30's, because I wanted to put my thoughts down on paper about the last decade of my life. 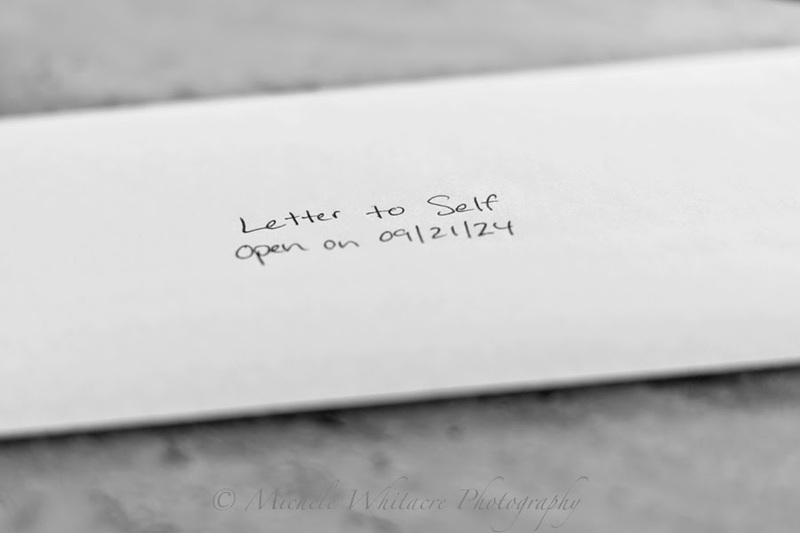 I plan to read the letter 10 years from now, on the last day of my 40's. It will be interesting to see how much in my life has changed, and how much has stayed the same, during the next decade. I made a few predictions, and recorded a few dreams, and I look forward to see how it all turns out.